Years ago, it was a conditioning camp in Chennai – hundreds of us had gathered to see the Indian team practice .. there was Sunil Gavaskar, Dilip Vengsarkar, local lad Krish Srikkanth – stadium erupted when the irrepressible Indian fast bowler Kapil Dev entered in – as others were loosening up, Kapil did some ground exercises, then started running – we literally lost count, as he ran with ease – Rajinder Singh Ghai only could run along – many others stopped in round 1 – 2- 3 .. Kapil Dev was always a superstar ~ the best thing that happened to Indian Cricket !! It was ODI no. 54 at Quetta on 1st Oct 1978, when India led by Bishan Bedi played Pak and won by 4 runs ~ that was Indian second win in an ODI, the first having come against East Africa in inaugural World Cup 1975. At Iqbal Stadium, Faisalabad on 16th Oct 1978, Pakistanis and the World were to witness a rare spectacle – a bouncer from Indian pacer, and Sadiq Mohammad calling for a helmet ! In that one dayer Kapil Dev made his debut alongside senior Chetan Chauhan and Surinder Amarnath. Mohinder Amarnath’s 51 and 2 wickets fetched him man of the match. Kapil had figures of 8-0-27-1; Karsan Ghavri 35/1, Bishan Bedi 2 for 44 and Srinivasan Venkatraghavan 8-0-14-0 ! That was a historical series – for there had been no Cricket between 1961 to 1978 between the neighbouring the Nations. In the WC 1975 too, India had not played Pak. On that tour, visitors were led by Bishan Singh Bedi, the enigmatic left-arm spinner, aided by leggie Chandrasekhar and Erapalli Prasanna – the tour turned a graveyard for the famous spin quartet is another story. Madanlal and Karsan Ghavri were in the squad, so also was an youngster, Kapil Dev, a man who could bowl fast, and who went on to create World Record for the highest no. of wickets for many years, before the record was broken. Kapil also scored a breezy 50 in the 3rd test at Karachi. Kapil Dev Nikhanj would ever be remembered as one of the greatest All rounders of India scoring 5248 runs in 131 Tests (184 innings) and taking 434 wickets. In 225 One dayers, he scored 3783 runs taking 253 wickets. Trivia. There was one ODI, whence he played as a pure batsman, not bowling a single delivery in a completed innings. That was ODI 395 on 7th Oct 1986 against Australia at Rajkot, where he was the captain. During the time, when delaying the over rate and bowling lesser no. of overs was an approved tactic, India opening with Krish Srikkanth and Raman Lamba made a healthy 260 for 6 in 48 overs. Lamba made a century. Kapil Dev blasted a quick fire 58 off 31 balls with 5 fours and 2 sixers. But the Indian attack without Kapil lacked the incisiveness. It was Madanlal, Rudra Pratap Singh, Rajinder Ghai, Ravi Shastri, Maninder Singh. Krish Srikkanth bowled 2 overs while Azharuddin bowled the last over. Border’s unbeaten 91 saw them through ~ and there were some instances when Kapil Dev opened the batting too –more specifically in that 1992 World Cup in Australia. The first instance perhaps was ODI no. 722 at Mackay, Harrup Park on 28th Feb 1992, when Kapil surprised all, walking with Krish Srikkanth – but that match lasted just 2 deliveries of Ramanayake – Kapil not facing a ball at all. Against Zimbabwe at Hamiltaon, Kapil & Srikkanth had a partnership of 23, Kapil fell for 10; Srikkanth made 32. It was a 32 over match, which India won. Then in CAB jubilee – Hero Cup match against West Indies at Motera, Ahmedabad, in Nov 1993, Kapil opened with Manoj Prabhakar. 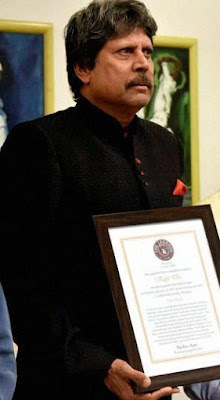 Those who saw Kapil would ever remember for his pace, his gutsy hitting, hit athleticism, his fielding [ever remember that great catch he took in 1983 finals at Lords running back yards to dismiss Viv Richards off Madanlal], his running between the wickets and his passion for the game. Truly, a great inspiring all-rounder. The great Kapil Dev, who transformed the way, Indians were respected on field. 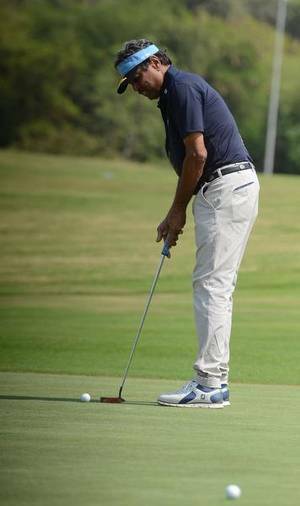 Now comes the news that Kapil Dev will play for India again – Kapil will represent India in the 2018 Asia Pacific Seniors golf tournament after a string of good performances in the All India Senior Tournament. He had finished third in the All India Senior Tournament, which was held at the JP Greens Golf Course in Noida in July. The 2018 Asia Pacific Seniors will begin from October 17 at the Tom Watson Golf Club in Miyazaki, Japan. Kapil, who had earlier played the tournament in 2015 in China, will be a part of the Indian gold team. Kapil will play alongside Rishi Narain (winner of the senior National 2018) and Amit Luthra (the winner of Senior National 2015). Kapil had previously said that he was at first skeptical about playing a sport again but that went away the moment he tried out the game. "In golf you have total control on your body, power, strength, and the result is yours. You can't raise a finger on anybody. I think that gave me the strength, so I can criticise myself and I can say that I played bad. As Kapil embarks on his new journey, he would hope that his new stint for his country is as fruitful as his previous one. Kapil is not the first. We will improve tax culture. People will pay taxes because they will see that their taxes are being spent on them. We will help farmers, the business community and help the youth to find jobs and develop their skills. Our money will be spent on human development. ~ this politician spoke !! I remember that Pongal Test in 1980 at Chepauk when Pak toured India. The star Batsman Zaheer Abbas failed miserably, getting out to mild Roger Binny; some Pakis claimed that to be result of some black magic ! .. .. at Chepauk Sandip Patil debuted and we so eagerly looked forward to his making runs – glaring at him in the net practice before the commencement of the Test. Sunil Gavaskar was to make 166 and Kapil bowled so well – a 7 wicket haul in the 2nd essay ensured a comfortable 10 wicket victory for India. Imran Khan ran in long and hard and bowled fast – took 5 wickets too – those days there were rest days the 4th day - 18th Jan was a rest day. Years later, in Feb 1987, Imran captained Pakis and scored a ton, which was overshadowed by a brilliant 123 laced with 18 fours and 2 sixers by local lad Krishnamachari Srikkanth. General elections were held in Pakistan on 25 July 2018 to elect the members of the 15th National Assembly and to the four Provincial Assemblies of Pakistan. Most of the opinion polls suggested an overall Pakistan Muslim League (N) lead with Pakistan Tehreek-e-Insaf being the close second. There have been allegations of pre-poll rigging being conducted by the judiciary, the military and the intelligence agencies to sway the election results in favour of the PTI and against the PML (N). My sons' father is Pakistan's next PM': Imran’s ex-wife Jemima Goldsmith congratulated ex-husband Imran Khan on his 'tenacity' as he claimed election victory - but she warned that he must remember 'why he entered politics in the first place'. Khan, who has also claimed victory in the election, was married to the British journalist - who is Richmond Park MP Zac Goldsmith's sister - from 1995 to 2004. They have two sons. 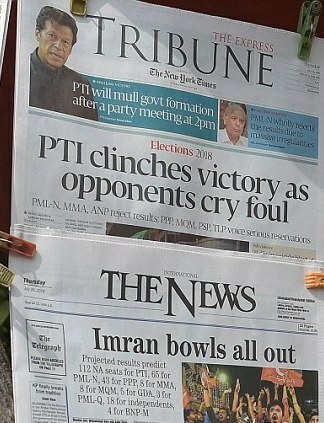 Results were still being tallied Thursday, hours after Khan's supporters took to the streets to celebrate victory in an election opponents have said the powerful military rigged in his favour. On foreign policy, he said: 'No other country needs peace like we do. 'We will strengthen our relations with China, they have given us a chance by investing in the China-Pakistan Economic Corridor, and we also want to learn how to improve people's lives, drag them out of poverty. He said he wanted to see peace in Pakistan's neighbour, Afghanistan, because 'peace in Afghanistan means peace in Pakistan'. Relations with the US, he explained, should be mutually beneficial rather than one-sided, which he claims they now are. He also spoke of better relations with Iran and Saudi Arabia. On Kashmir - and the conflict with India over which state should control it - Khan said he wanted to improve relations with Pakistan's gigantic neighbour. 'Saudi Arabia has stood by us in our toughest times. We would like to be a reconciliatory state and help them resolve their inner tensions. 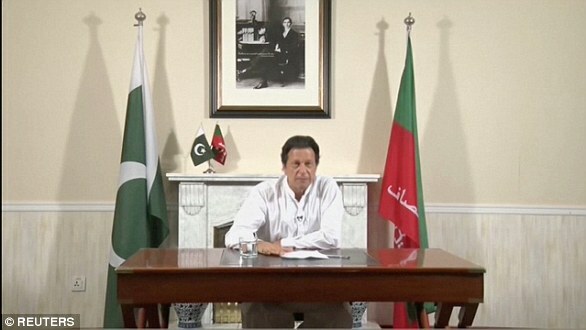 BBC's Newsnight sparked fury last night after mistakenly showing footage of the wrong cricketer during a package about Pakistan bowler-turned-politician Imran Khan. The flagship current affairs programme sparked outrage after broadcasting a clip of his fellow bowler and teammate Wasim Akram, despite the pair not looking alike. Opening with a piece about Pakistan's potential new prime minister, footage of left-arm fast bowler Akram appeared instead of all-rounder Khan in his heyday. Newsnight quickly apologised for 'a bit of an error' but bosses were slammed on social media by angry viewers. We have seen Cine heroes donning role of Army Jawans and applaud them too – In our history books, we have read about 3 battles of Panipat, Plassey, Arcot and more …..will we ever read of Tololing or even Kargil ! ~ on every 26th of July, I have been posting on Kargil remembrance (with a tinge of sadness some years as media neglected it) – these years are different as our respected Prime Minister, President, Vice-President all remember this and are paying homage to the martyrs of Kargil war. though the Nations share common boundaries and history, India Pakistan have been at logger heads and have gone in war in 1965 & 1971 – both times, India being the victor graciously not pressing any advantage. Read a newsitem in Russia Beyond media that in May 1964, Indian Defence Minister Yashwantrao Chavan made a visit to the Pentagon, the HQ of the American defence department. Chavan, who was trying to rapidly modernise the Indian military, requested the Americans to sell India the F-104 Starfighter – the most advanced jet fighter of that era. Although the US had supplied the F-104 and the F-86 Sabres in large numbers – virtually free of cost – to Pakistan, India’s request was rebuffed in an extremely crude manner. The 1965 War remains memorable for two things. One was a monumental miscalculation by Pakistan. President Ayub Khan, egged on by his scheming and feckless Foreign Minister Zulfikar Ali Bhutto, sent a top-secret order to his army chief General Mohammed Musa: “As a general rule, Hindu morale would not stand for more than a couple of hard blows delivered at the right time and the right place. Such opportunities should therefore be sought and exploited.” Secondly, India’s leadership – as it has done consistently over the past 2500 years – frittered away on the negotiating table what the soldiers won on the battlefield. : “In a way, India’s leadership, out of its sense of restraint, fair play and endeavour to seek enduring peace and goodwill with the neighbour, seems to have missed opportunities to solve the problem.” Writes Russia Beyond. At the end of a bruising 22-day war, India held 1920 square kilometres of Pakistani territory while Pakistan only held 550 square kilometres of Indian land. The Haji Pir pass was also captured by Indian soldiers after an epic battle. And yet India surrendered everything at the Tashkent Declaration in January 1966. 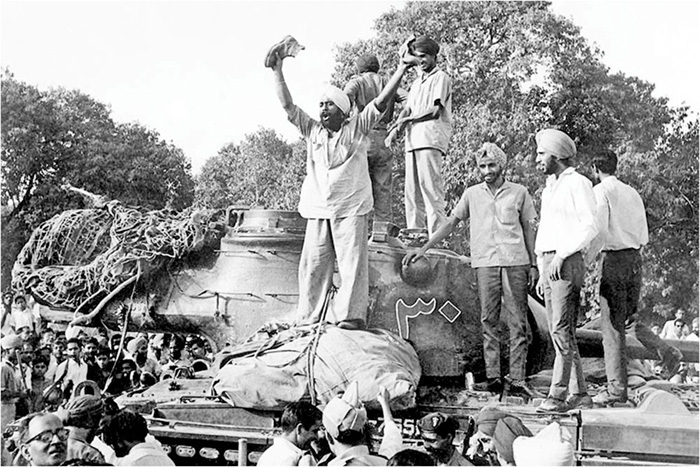 Battle of Asal Uttar was one of the largest tank battles fought during the Indo-Pakistani War of 1965. It was fought from 8 to 10 September 1965, when the Pakistan Army thrust its tanks and infantry into Indian territory, capturing the Indian town of Khem Karan 5 km from the International Border. The Indian troops retaliated, and after three days of bitter fighting, the battle ended with the Pakistani forces being repulsed near Asal Uttar. Successful strategy and resilience of the army ensured this success. This battle is compared with the Battle of Kursk in the Second World War for how it changed the course of the India Pakistan war of 1965 in India's favour. Asal Uttar means fitting reply and that's exactly what the Indian army gave their Pakistani counterparts when Indian troops, marred by a lack of supplies and ammunition, crushed Pakistani hubris garlanded by an edge in numbers as well as weaponry and tanks. Now today, is the day of remembrance of our Kargil war heroes. The Nation today pays homage to the jawans who sacrificed their lives in the 1999 Kargil war against Pakistan. Prime Minister Narendra Modi hailed former PM Atal Bihari Vajpayee’s leadership for his support to the armed forces during ‘Operation Vijay’. “On #KargilVijayDiwas, a grateful nation pays homage to all those who served the nation during Operation Vijay. Our brave soldiers ensured that India remains protected and gave a befitting answer to those who tried to vitiate the atmosphere of peace. India will always remember with pride, the outstanding political leadership provided by Atal Ji during Operation Vijay. He led from the front, supported our armed forces and clearly articulated India’s stand at the world stage,” he tweeted. President Ram Nath Kovind, paying his tributes to the martyrs, tweeted: “On Kargil Vijay Diwas, every Indian acknowledges the efforts and gallantry of our Armed Forces. We salute the ultimate sacrifice of the martyrs of Kargil, and record our everlasting debt to their families.” In Delhi, Defence Minister Nirmala Sitharaman, Chief of the Army Staff General Bipin Rawat, Chief of the Naval Staff Admiral Sunil Lanba and Chief of the Air Staff Air Chief Marshal Birender Singh Dhanoa paid their tributes at Amar Jawan Jyoti on the occasion. 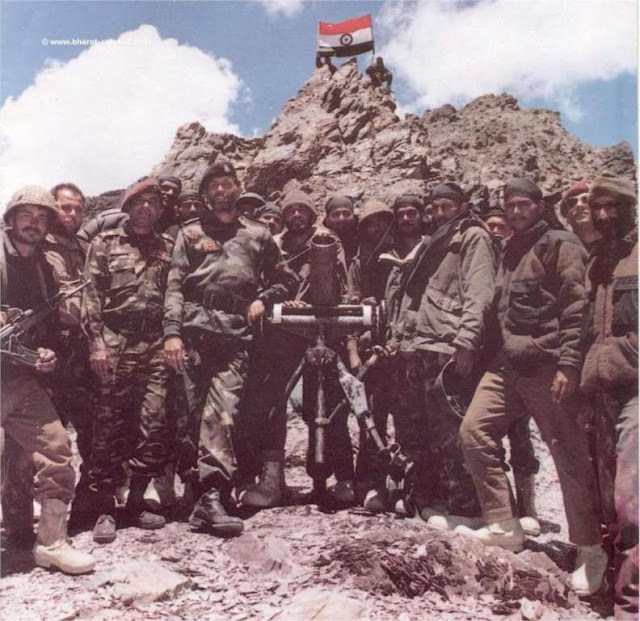 The Battle of Tololing was one of the pivotal battles in the Kargil War between India's armed forces and troops from the Northern Light Infantry aided by other Pakistan backed irregulars in 1999. The Tololing is a dominant position overlooking the Srinagar - Leh Highway (NH 1D) and was a vital link. The Indian army's casualties on the Tololing peak were half of the entire losses in the whole war. Much of the losses had to do with the nature of the terrain as World War I style frontal charges had to be mounted to reclaim the peaks to dislodge the intruders. The 3 week assault finally culminated with India taking control of the peak and changing the course of the war. 23 Indian Soldiers were killed in the final assault, resulting in one of the costliest battles of the entire war. We have National Holidays; We celebrate important days for the Nation including The Independence Day (Aug 15th ) Republic Day (26th Jan) – we recall the birth and death days of important National leaders. A day more important than most of them is … 26th July…. The Kargil Diwas.. should be a much celebrated day commemorating the victory in an important battle for the honour of the Nation. Great People – Country must remember the Names - : Captain Anuj Nayyar, Captain Amol Kalia, Captain Manoj Pande, Captain P.V.Vikram, Captain Vikram Batra, Deputy Commander Sukhbir Singh Yadav, Driver-Soldier Gopinath Moharana, Flight Engineer Raj Kishore Sahoo, Grenadiar Amardeep, Grenadiar Bajinder Singh Naik Surjeet Singh, Naik Subedar Lal Chand, Naik Vikram Singh, Naik Yoginder Singh, Rifleman Ansuya Prasad Dhayani, Rifleman Bachan Singh, Subedar Sumer Singh Rathore, Squadron Leader Ajay Ahuja, Squadron Leader Rajiv Pundir, Squadron Leader Lal Singh, Squadron Leader Ojha, Zrfn Man Singh, Kaushal Yadav – all should feature in the history books of the school curriculum. The illustrious list is not full only some of those 527 heroes who sacrificed their future for protecting the honour of the Nation….. yes these are only some of the names of Indian jawans and officers who made the supreme sacrifice in the battle field of Kargil. If you can't be a Soldier, admire a Soldier. If you can't fight at the border, fight the chaos in your neighbourhood. If you can't nurse a soldier's wound, wipe the tears of his family members. If you can’t feed a soldier, pray he sleeps indoors tonight. If you can’t thank him personally, thank his parents. If you can’t help him get back, make sure his body gets home, with all due respect and much more. If you can’t be a soldier, thank them everyday. If you can’t be a soldier, encourage your child to be one. If you can't be a Soldier, learn to always respect one. Today, we remember the martyrs of Kargil. Saluting the Warriors guarding us and saving our Nation…. It was my school days (may be 1978 !) 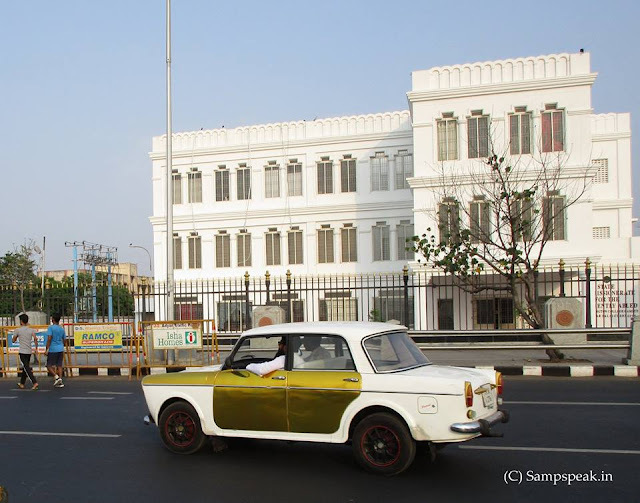 ~ I was standing in front of my house – a Premier Padmini car passed by (those were the days when automobiles were scarce and only rich and influential people owned them) – (was that regn no. 5004 ??) – its driver was seated upright, pronounced mush, he parked the car infront of my house, got down and went inside Sri Raghavendra Temple - it was ‘cine star Rajnikant’ – I was admiring the car more, we have seen come him a couple of times arriving in a Priya scooter too !! The car’s history dates back to 1899 when at Palazzo Bricherasio, the company charter of Società Anonima Fabbrica Italiana Automobili Torino was signed. Among the members of the Board of Directors, Giovanni Agnelli stood out in the group of investors and won recognition for his determination and strategic vision. In 1902 he became the Managing Director of the company. Premier Padmini was manufactured in India from 1970 to 1998 by Premier Automobiles Limited, a division of the Walchand Group, under license from Fiat. It gave a run to the monopoly of Hindustan Ambassadors. In June 2009, when Chrysler emerged from Chapter 11 bankruptcy protection, Fiat Group received a 20% stake in Chrysler Group LLC and Marchionne was appointed CEO, replacing existing CEO Robert Nardelli. Chapter 11 is a chapter of Title 11, the United States Bankruptcy Code, which permits reorganization under the bankruptcy laws of the United States. Chapter 11 bankruptcy is available to every business, whether organized as a corporation, partnership or sole proprietorship, and to individuals, although it is most prominently used by corporate entities. Marchionne last appeared in public on June 26, in Italy, appearing fatigued as he presented a Jeep to the Carabinieri, Italy’s military police. FCA subsequently announced Marchionne had taken medical leave for shoulder surgery at the University Hospital of Zürich in Switzerland — adding on the day of surgery he would not return due to post-surgical complications. On July 21, due to the gravity of his condition, Marchionne was replaced at FCA, Ferrari, SGS and CNH. The automotive industry lost an icon on 25.7.2018, as Fiat Chrysler Automobiles CEO Sergio Marchionne passed away at age 66. He was extremely well known in the car world. One among the many who worked under him tweeted knowing as “The Sweater”, perhaps not so much for what he wore but how anyone felt during a meeting with him. The stories about how hard he worked are all true. However, he knew that being absolutely relentless was the only way to turn the company around. He saved the company, jobs, and pensions of many of his employees. 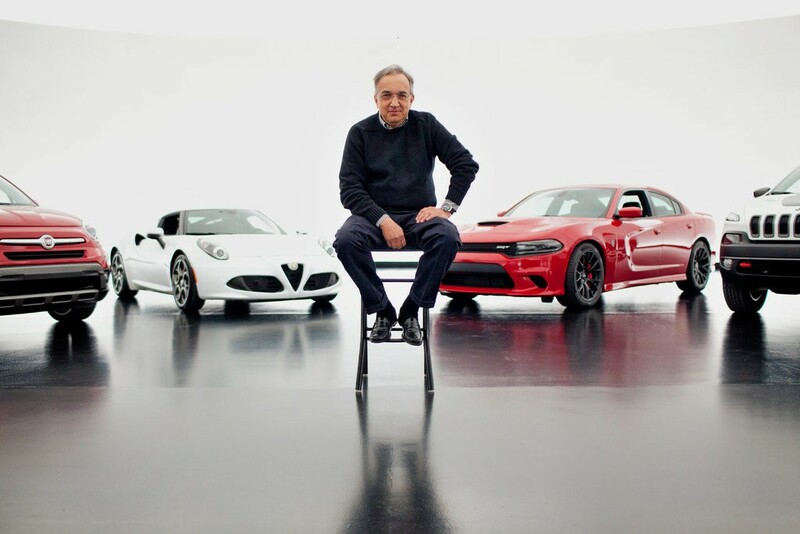 Sergio Marchionne (1952-2018) was an Italian-Canadian businessman who was the chairman of CNH Industrial, the chief executive officer (CEO) of Fiat Chrysler Automobiles, the chairman and CEO of FCA US LLC, the chairman and CEO of Ferrari, and the chairman of Maserati. He was the chairman of Swiss-based SGS and vice chairman of UBS from 2008 to 2010, as well as the chairman of the European Automobile Manufacturers Association for 2012 (first elected in January 2006). He was a member of the Peterson Institute for International Economics, and the chairman of the Italian branch of the Council for the United States and Italy. Noted for his keen observations of the automotive industry, Marchionne's insights ranged from frank criticism of his company's own products to a highly-regarded 2015 presentation titled Confessions of a Capital Junkie, extolling the benefits of industry consolidation. Marchionne was widely recognized for turning around Fiat Group to become one of the fastest growing companies in the auto industry, in less than two years. In 2009, he was instrumental in Fiat Group forming a strategic alliance with the ailing US automaker Chrysler, with the support of the U.S. and Canadian governments and trade unions. Less than two years later, following its emergence from Chapter 11, Chrysler returned to profitability, repaying all government loans. Following complications from surgery, Marchionne resigned from all of his positions in July 2018 and died a few days later. The American business channel CNBC described Marchionne as a "legend of automotive industry", while the British newspaper Financial Times considered him as having been "one of the boldest business leaders of his generation". After the passing away of the architect who created Fiat Chrysler, many investors are wondering what his loss will mean for the future of the company. The news that he was being replaced as chief executive sent shares tumbling earlier this week. Recently, when the company published its second quarter earnings, they were certainly disappointing - and exposed significant challenges in China. The shares fell again - more dramatically this time. The question is... would the reaction have been so strong if Mr Marchionne had still been firmly in control? He had been planning to retire next year - and the new chief executive, Mike Manley, had been widely tipped to succeed him. gory EMU train accident ~ could it have been averted ?!? 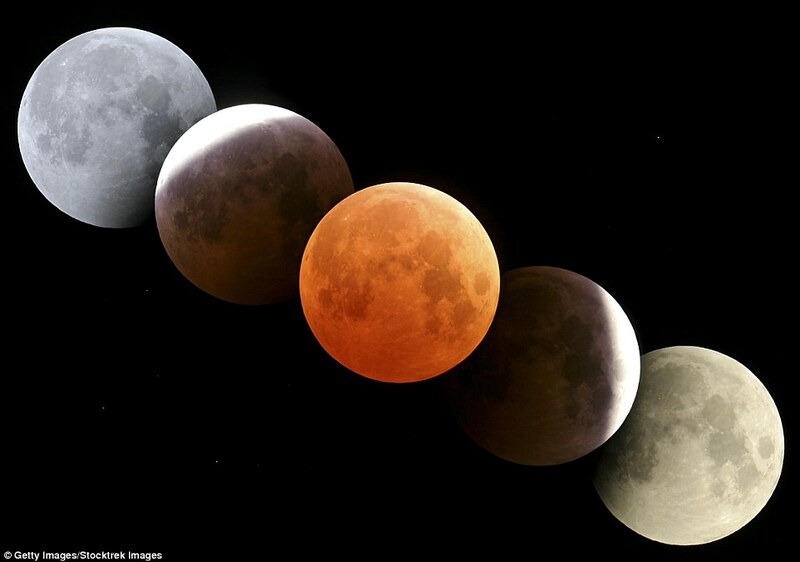 Can you imagine what these are ? These are hanging concrete balls installed in Indonesian Capital of Jakarta. Why would somebody put these big sized concrete balls ringed together ~ difficult to tell!! ~ can it be intended to cause some malice ? ~ 24th July 2018 would remain a blotted dark day in the history of EMU trains in the metropolis. one’s heart bleeds on reading gory details of the train accident at St Thomas Mount station yesterday in Chennai .. .. accident !! ~ the word often obstructs the study of prevention. The word suggests an event that takes place without foresight or expectations, yet such events as a group are not random and do not occur by chance; they can be expected to happen, even if the time, place, and precise circumstances cannot be foreseen. When the word is used to describe human error, it frequently does so in a way that inhibits examination of the factors contributing to the error and consequent injury. The public usually associates the word with an event, not with the damage that results. Sad, deep sense of anguish and no words can ever soothe those victims ! 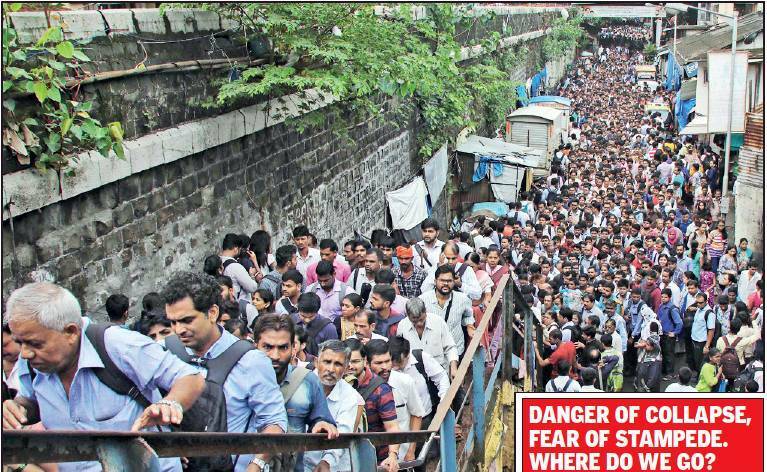 In Mumbai, the abrupt closure of Lower Parel’s Delisle bridge, a key east-west link, on Tuesday morning led to such a concentration of pedestrians in the lane under it that for over two hours it seemed that a stampede was imminent. So congested is the area that other than the narrow Datta Ahire Marg, there are no public pathways to cross over into the Lower Parel office district, especially for the hordes of commuters who alight at Currey Road station, travelling from the eastern suburbs. For residents of buildings along the lane, the scenes were reminiscent of what occurred on a similarly confined stretch not so long ago, not so far away: The death of 23 people on the Elphinstone Road footbridge last September. Although there was no rain on Tuesday, the bigger worry for commuters is that it could take at least two years for the Delisle bridge—declared corroded and dangerous—to be reconstructed, according to Western Railway. Back home in Chennai, tragedy struck rush-hour commuters on Tuesday when at least four men travelling on the footboard of a suburban train were killed and five others were injured after they slammed against a concrete fence near the track at St Thomas Mount Railway Station. The accident took place at 8.22am, police said. The first rail chugged on April 16, 1853 from Bombay to Thane – Bori Bunder to Thane. 3 years later in 1856, [July 1, 1856] the first train of South India ran from Royapuram to Wallajah linking Arcot, the titular capital of Nawab of Carnatic, near Ranipet. Besides the major Railways Stations of Chennai Central and Central Egmore, the metropolis of Chennai has commuter rail system operating Electric Multiple Units in 3 lines – Chennai Beach to Tambaram; Chennai Central to Thiruvallur and Chennai Central Gummidipoondi. In addition there is the MRTS, presently operating from Chennai Beach to Velachery and Chennai Metro on two lines. Chennai has a complex railway network ~ popularly known as Electric trains, it is ‘Electrical multiple units (EMUs)’ operating on alternating current (AC) drawn from over-head cables. To recall some more history, the meter gauge suburban service was inaugurated on April 2, 1931. Then came the gauge conversion project by 1999 there were two MG and one BG line. of the sad incident, witnesses told police that as the train was rolling on to platform 4, normally reserved for express trains, several commuters hanging on to the footboard in the compartment next to the engine smashed into the concrete fencing wall built on platform 3 and fell to the ground. Four of them were crushed to death under the train that was still moving fairly fast. Railway authorities said shoulder bags of several commuters travelling footboard hit the cement fence, and 10 passengers fell to the ground. A snag in the overhead electrical line had forced them to run slow local trains on the fast lines meant for express services, said southern railway officials. The problem was reported around 7.10am and delayed trains plying between Chennai Beach and Tambaram by about 30 minutes. This, officials said, led to overcrowding of trains and the Chennai Beach-Tirumalpur train, which was involved in the accident, had to be diverted on to platform 4. Staff manning the control room of the state’s emergency service provider, Emergency Management Research Institute (EMRI), received the first call by 8.24am when a commuter said several people were injured in a train accident at St Thomas Mount. The closest 108 ambulance reached the spot at 8.32am. Nine more ambulances arrived in the next few minutes. The cement fence separating platform 3 and the track at St Thomas Mount Railway Station has accounted for at least 10 deaths in the last one month, say railway sources. All those killed were leaning out while travelling on the footboard and were hit by the fence, they added. Almost all of them were youngsters, including a youth in his 20s returning home after his first day at work. How sad .. .. Slow suburban trains generally stop at platforms 1 and 2 at the station. Platform 3 is a virtual island, separated from platform 4 by a track. Not used by passengers on a regular basis, speeding ex trains and fast local trains veer past these platforms. For operational exigencies, like on Tue morning, slow trains are allowed on to platforms 3 or 4, TOI reports. The cement fence over there is to avoid commuters from getting sucked out by the pressure created speeding train or falling on the track,” a railway official is quoted as saying. They sought to debunk the theory that the fence was built in violation of railway standards. The distance to be maintained between the track and any permanent or temporary structure nearby, called schedule of dimensions (SOD), varies for different sections, for example along curves or dif- St. ferent types of rolling Mount stock, like wagons or passenger coaches, he said. 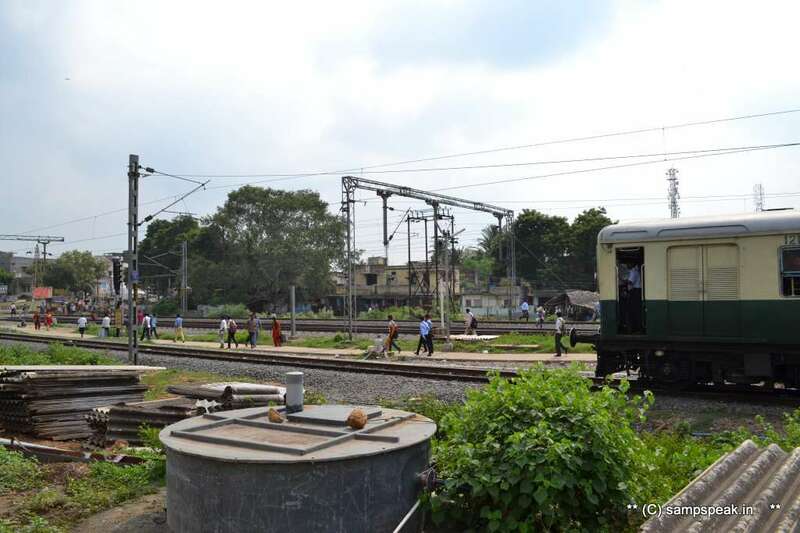 “For the Chennai suburban train network, the SOD is 2.1351 metres. The structure at St Thomas Mount station was well beyond this distance. It was safe,” the official said. This means the entire body of each of the commuter including hands and their shoulder bags could have been outside the train during the run, causing them to get entangled with the fence. What it was technically, it practically has caused deaths and should not continue – everyone of us is to blame – commuters are negligent; the backpacks are a virtual nospace zone for others risking its carriers and Railways should well have known, how the system operates and what safe distance actually is ~ sad, that poor planning infrastructure has caused so many deaths, all of which perhaps could have been avoided if all of them chose to be vigilant and not negligent. There can never be any justification for footboarding stating lesser frequency or that people cannot afford share autos or cabs, have no other option but travel worse than “cattle class”. Human lives are precious and the accident is a cause of deep concern. PS : The picture that you saw at the start of the post are large-sized concrete balls strung above railway lines to stop 'roof riders'. 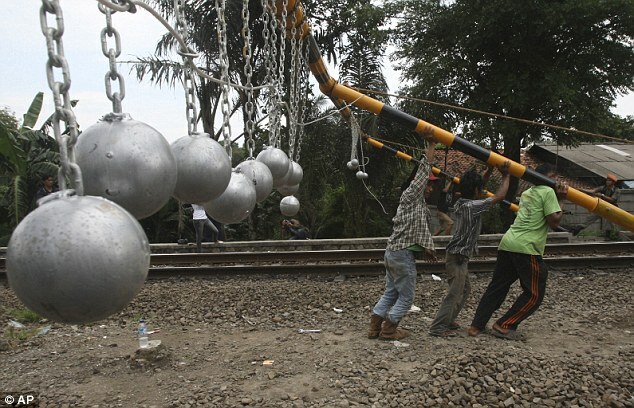 Railways in Indonesia have hung these concrete balls above train tracks at select places in order to prevent commuters from riding on carriage roofs. The first balls were installed just above carriage-height near a station outside the capital, Jakarta. Previous attempts to deter roof riders included spraying roofs with paint, spreading oil on carriages and hiring musicians to perform safety songs. Reportedly, all those initiatives failed and this is hoped to be the ultimate deterrent. Roof riders also face the possibility of imprisonment. The authorities there believe, that these balls would deliver serious blows to the head if they didn't knock a person off the roof of a train - will be enough to deter 'train surfers'. Looks cruel and barbaric but that menace of voluntarily endangering life has to end somehow. Kharg is a continental island in the Persian Gulf belonging to Iran. The island is located 25 km (16 mi) off the coast of Iran and 483 km (300 mi) northwest of the Strait of Hormuz. Kharg is a busy sea port for the export of oil and extends Iranian territorial sea claims into the Persian Gulf oil fields. As refineries and traders await clarity on whether they will be able to make reductions in their crude purchases from Iran or be forced to stop buying from the OPEC producer, Chile has imported its first Iranian oil cargo in at least 16 years. 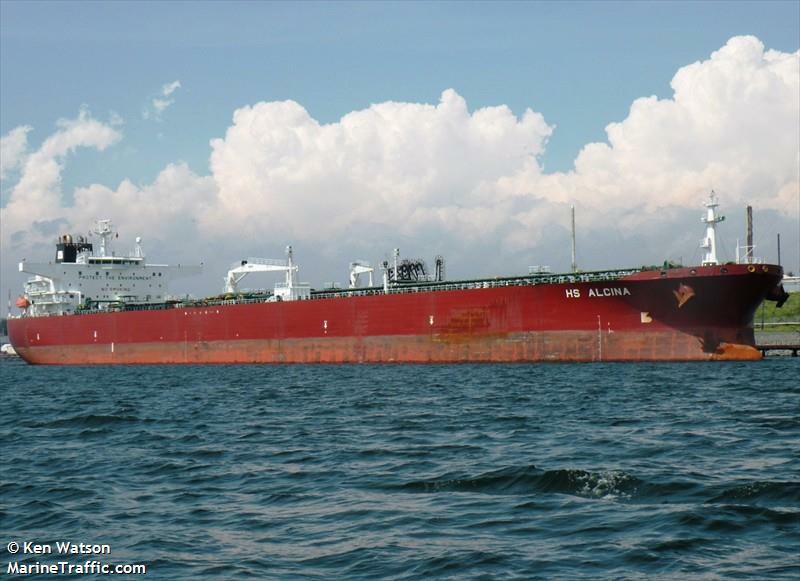 Shipping data last Friday showed the Portugal-flagged oil tanker Monte Toledo sailing through the Oman Gulf towards the Pacific port of San Vicente, in Chile. The Suezmax-class tanker, with capacity to carry 1 million barrels of oil, left Iran’s Khark port on June 2, Kallanish Energy reports. The revival of trade between Iran and Chile may pave the way for future shipments, as the Persian nation is expected to face sanctions which would dent its exports to European refineries. For the not so well informed, oil is transported in tanker ships. A tanker is a ship designed to transport or store liquids or gases in bulk. Major types of tankship include the oil tanker, the chemical tanker, and gas carrier. There are two basic types of oil tankers: crude tankers and product tankers. Crude tankers move large quantities of unrefined crude oilfrom its point of extraction to refineries. Oil tankers are often classified by their size as well as their occupation. The size classes range from inland or coastal tankers of a few thousand metric tons of deadweight (DWT) to the mammoth ultra large crude carriers (ULCCs) of 550,000 DWT. Dead Weight Tonnage (DWT) is the measure of weight when it comes to tankers. Now this tanker named ‘Rise Dignity’ IMO: 9221970, Panama flagged - DWT : 160183 built in 2001 – that called up at Chennai is in Port for wrong reasons. Pic credit: www.marinetraffic.com/ (the news below is reproduced from Times of India Chennai edition). HS Alcina is its previous name. When the four trainee sailors set sail on a giant oil tanker named Rise Dignity from Khark, last month, they thought their career had finally taken off. They were to set out on a long voyage to Chennai and back carrying crude oil. The work was tough, they did the most difficult of the jobs - cleaning the tanks. The hardship did not deter them as, if they did well, they could use the experience to get promotions and better jobs. However, the dream turned sour, just a month into the journey. The men found out that their names were not on the crew list, a gross violation of maritime and immigration rules. The names were initially on the list but were apparently deleted when a few experienced trainees joined them. But the sailors were not informed till the time the ship was about to enter Indian waters. “There was a safety meeting on board two weeks ago. It was at that time that the authorities told us that our names were not on the crew list. The captain told us that it was not a problem and that they will take care of us,” said one of the sailors who was rescued after a detailed immigration inspection when the ship docked at Chennai port on Saturday. But what frightened them was the instruction that “they should hide inside the engine room when the ship reaches a port”. This meant that their stay on board the ship was illegal and if caught at a foreign port they will be trapped and the shipping company need not pay them compensation because they did not exist on the ship as per the documents. “I mustered courage and called up my relative when the ship was somewhere near Lakshadweep,” said Thejus from Kerala. Sources said rescuing them was a difficult task. “The cadets of the ship were moving them from one location to another to avoid detection”, said an official. Enquiries revealed that every time the team of immigration officials entered the engine room, they were moved out from another side and were taken to some other room. “It was like a cat and mouse game for almost an hour,” said a source. The sailors were also locked inside a room for a brief while with a cadet standing guard outside and meeting the immigration officials. The striking news is 4 Indians, whose names were not included on the crew list and who were made to hide in the engine room of a Panama-registered oil tanker, were rescued at Chennai port yesterday after one of the four men called a relative. The men included a Tamil Nadu resident. Rise Dignity, operated by a Hong Kong-based company, docked at the city port around 10.30am. It was carrying crude oil and had arrived from the Iranian port of Khark after beginning the voyage from Dubai in the United Arab Emirates. A team of immigration officials boarded the ship and began combing the entire ship the size of a 10-storey building. The vessel’s manifest, the official document listing the cargo, passengers and crew on board, had 36 crew members including two people from Pakistan. Throughout the search, deck cadets and a trainee fitter kept moving the Indians from one location to another to prevent detection. Finally, after the officials confronted him with specific information, the ship’s master presented Thejus P from Kerala, Prakash from Tamil Nadu, Suresh from Andhra Pradesh and Punit from Uttar Pradesh. The port authorities had stopped unloading of oil briefly and the immigration authorities detained the master, while the rescued sailors are expected to be handed over to the city police for release after their statements are recorded. Chief immigration officer said, “The ship declared 36 crew members but we found four more. The Indians have their passports and they said they did not know that they were not included in the crew list.” Mails sent to Atlantic Shipping Pvt Ltd, the agent concerned, and Hong Kong-based Far East Ship Managment, which operates the vessel, did not elicit a response till the time of going to print. Chennai Port officials said this was the first time such a case had been detected here, that too from a huge oil tanker. Sources said the masters of small cargo ships sometimes took the risk of taking people on board without adding them to the ship’s manifest the directorate general of shipping, said that he was awaiting instructions to start checking about the sailors. K Sreekumar, inspector with the International Transport Workers Federation (ITF), said this was a serious crime and required a detailed probe by the immigration authorities, the mercantile marine department and police to find out whether this was rampant on other ships too. “The four sailors have not done anything wrong. They should be released. The ship should be allowed to go only after the men are compensated and their pending wages are given,” he said. Experts in the field said bringing people who were not included in the manifest was a crime and could pose security risks. planning one's retirement - speculation on MS Dhoni retiring !! If you are over 50 – feel stressed in job; family reasonably well-settled, perhaps would have pondered on this already ! – and for such people this post may make an interesting read. crisis of existentialism !! Even Pope retires; but in India where retirement is compulsory for all office goers, there is none for politicians…. In the 9th Lok Sabha elections, there was this gentleman who at the ripe age of 89 was contesting the elections and actually won by a handsome margin too…. That was ‘Mr NG Ranga’. My mind goes back to an ODI at Faridabad in Oct 17, 1994, where I felt my favourite national Hero was insulted by the Captain. To millions of his followers, Mahendra Singh Dhoni is a phenomenon, a great thing to happen for Indian cricket. Yet at this age, often his future becomes fodder for speculation. There is so much after a small incident of his seeking the match ball at the end of the lost third ODI against England. The 37-year-old wicketkeeper-batsman was seen seeking the ball from the umpires as players left the ground after India lost by eight wickets on Tuesday to go down 1-2 in the series. "Is Dhoni retiring?" 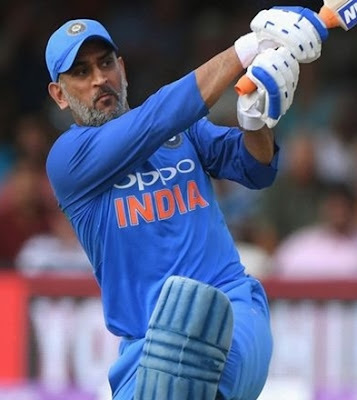 was the talking point as all and sundry .. Dhoni asked for the ball from field umpires Bruce Oxenford and Michael Gough (England) at Leeds ~ and immediately Twitter went abuzz rumouring that to be an act of taking a relice and that he may not be present again in an ODI .. .. how sad !! England put up a strong all-round show to thump Team India by eight wickets in the series-deciding third and final ODI . The series loss marks this Indian team's first bilateral series defeat under Virat Kohli. But more than the defeat, former Indian captain Mahendra Singh Dhoni taking the match ball from the umpires had the fans worried. India coach Ravi Shastri dismissed the rumours. "MS wanted to show the ball to Bharat Arun. He wanted to show him the wear and tear the ball had endured, to get a general idea of what the conditions were like." "But right now, all this clamour is nonsense. He just wanted to show the ball to Arun to just have a look at it after close to 45 overs had been bowled," Shastri told Times of India. MSD sprung a surprise in 2014, downunder when he retired mid-way during the series at Australia after the drawn Test against Australia in Melbourne. Dhoni was batting on 24 when the Test was called off early at the MCG - four overs were left and India had four wickets in hand - and he made no mention of his retirement during the customary captain's press conference at the end of the match. The announcement was made via a BCCI press release shortly after and it cited "the strain of playing all formats" as the reason. He certainly has a lot of left as revealed by his wicketkeeping performance in this tour, the way he has taken catches and effected stumpings – a class of his own. Shabby treatment to our heroes towards their retirement is perhaps nothing new to us. Kapil Dev Nikhanj was the very best to occur for Indian Cricketer – the man burst into the scene making debut at Faislabad, when India was a land of spinner (more specifically the famous quarter of Bedi, Prasanna, Chandra and Venkat) – made Pak opener Sadiq Mohammed scurrying for cover, wearing a helmet, surprised by the pace of an Indian bowler. Dev’s finest moment was captaining the Team in 1983 WC triumph. He retired in 1994, holding the world record for the most number of wickets taken in Test cricket, a record subsequently broken by Courtney Walsh in 2000. At the time, he was also India's highest wicket taker in both major forms of cricket, Tests and ODIs. He is the first player to take 200 ODI wickets. He is the only player in the history of cricket to have taken more than 400 wickets (434 wickets) and scored more than 5,000 runs in Tests. There was some suggestion that he stayed a bit long, especially chasing that World record of highest wickets of Richard Hadlee. The game would be better served if only the Q is – whether a player is good enough to represent the side, are there players who can substitute him, rather than comparing one with past deeds or weighting against expectations !! Kapil did play till early 1994, and by then he was over 35. That meant 16 years of international cricket, 16 years of wear and tear, 16 years of shouldering the burden of bowling in a nation not known for speedsters. Before concluding the little master, the man with most compact defence, the run machine, Sunil Gavaskar always had things under his control. He made a grand debut in West Indies making 65 and 67 not out in the second Test in Port-of-Spain, Trinidad, hitting the winning runs which gave India its first-ever win over the West Indies in 1971. He followed this with his first century, 116 and 64* in the third Test in Georgetown, Guyana, and 1 and 117* in the Fourth Test in Bridgetown, Barbados. He returned to Trinidad for the fifth Test and scored 124 and 220 to help India to its first ever series victory over the West Indies. He played his last Test innings – the 5th test at Bangalore in Mar 1987 – having become the first batsman to score 10000 test runs. The wicket was a square turner and Pakis were bowled out for 116. In a minefield of a pitch, in 4th innings, he made a stoic 96 only to see India lost by 16 runs. He was the man of the match in his last test. Months later, in Reliance World Cup at his home in Mumbai in Nov 5, 1987, India lost to England when Graham Gooch swept everything. Gavaskar made 4 but in the match earlier (his penultimate match) he made his first century in ODI and was joint man of the match with Chetan Sharma, who took a hattrick. Getting back to that Faridabad onedayer which India lost, the captain Mohammed Azharuddin, sort of plucked the ball from Kapil Dev’s hands as he returned nonchalantly to bowl his next over – he had bowled hundreds of them for the Nation – India played with Manoj Prabhakar, Javagal Srinath, Anil Kumble and Rajesh Chauhan and yet Kapil was given only 5 overs – rest bowled by Sachin Tendulkar. Retirements are but common ! !